If you're all about relaxed dressing when it comes to your personal style, you'll love this absolutely stylish pairing of a Wildfox Couture wildfox ocean hearts baja tank and white culottes. Kick up the cool of your outfit by rounding it off with dark green leather heeled sandals. We all seek comfort when it comes to dressing up, and this combination of a Wildfox Couture wildfox ocean hearts baja tank and white vertical striped shorts is a good illustration of that. Choose a pair of dark green leather heeled sandals to kick things up to the next level. 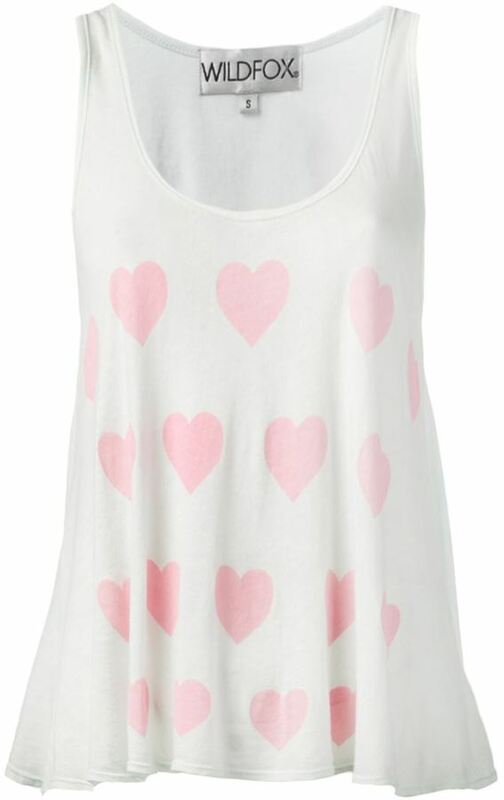 If you're obsessed with relaxed dressing when it comes to your personal style, you'll love this adorable pairing of a Wildfox Couture wildfox ocean hearts baja tank from farfetch.com and olive denim shorts. White canvas low top sneakers work amazingly well here.